I have been a registered Nurse for 30 plus years. About 10 years ago I started feeling pain in my right thumb and distal joint. When the pain started I stared with Aleve and then Tylenol. I knew I could not constantly take these meds because with constant use a GI bleed and possible kidney failure could result. I decided to see a specialist who diagnosed me with arthritis. He suggested steroids and injections. I did not want either. I happened to see a commercial about Omega XL. I decided to try it I started with four pills daily for a month and noted a significant change in the degree of pain I had experienced. I have continued to take four pills daily for at least six years. 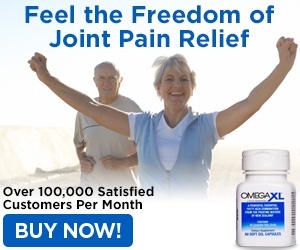 I have not experienced any arthritic pain or any type of pain in all the time I have been taking the Omega XL. I recently went to Atlantic City to celebrate my 68 birthday. I forgot to pack my Omega XL along with my other meds. After two days of not taking my Omega the pain in my right thumb returned with a vengeance. I had constant pain which my wife had to constantly massage and I had to take Aleve to take the edge off. Needless to say I did not have a very enjoyable birthday and vacation. I experienced pain 3 of the 5 days I was there. 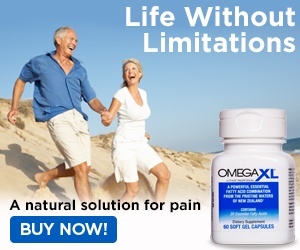 When I returned home I took four pills of Omega XL and within 6 hours I was beginning to feel relief. The pain was there but significantly less. I continued to take 4 pills daily by the third day all pain had been relieved and I was completely free of any pain and able to perform all of my activities of daily living without restrictions. I told my wife I must write and inform you folks of my experience. I am a health professional who have been taking this for many years but you don't appreciate how good it is until you don't have it. All of my patients from this day forward who have pain, I will recommend they use this after checking with their doctor. Thank you Omega XL for giving me back my life free of pain. When one has pain they limit their activities which affects all of the body systems. Give it a try you have nothing to lose but pain. Reason of review: It works..
Review #1016647 is a subjective opinion of User1016647.